The shooting at Sandy Hook elementary school is a tragic reminder that societies of human beings still face a huge problem: Violence. Over the past few weeks, I’ve heard everything blamed for this event: guns, video games, mental illness, unarmed teachers, even the devil. And with each of these, we have heard talk in the media of efforts to try to remove, re-implement, or ban the elements of these things. But I do not think the removal of any one of those things will solve our problem. I believe the problem is much deeper. The shooter at Sandy Hook was not the first person to kill people in a tragically safe environment. Such ideas have played out before. Too much. But when we look back just a few decades, we don’t see such incidence of this. In fact, the rise of the workplace or school shooting is something that grew late in the 20th century. So why not before then? One could say it was the availability of powerful guns that is higher now, but you would be mistaken. Semi-automatic pistols and even machine guns were easier to obtain for the first half of the century than the later. One could say it is the availability of violent games played by kids. But American kids have been playing violent games for a long time, playing war, playing ‘cowboys and Indians’. One could say its a high volume of people with mental illness. But we actually treat those with mentally issues far more now, giving supportive services and much more humane, long term therapy aimed at specifically preventing violence, with networks of people insuring their safety. We could go on and on with the possible causes, but where each of these points have been made, and shown to not be the specific cause, I think they are all branches of a specific tree. That of a violent culture. We have had a violent culture for centuries. This country, like many before it and alongside it, was founded on violence, expanded by violence, and tests its resolve by violence. Yet something different has occurred, that leads one from choosing the accepted forms of violence in our society, to becoming anti-socially violent. And I believe this shift is nothing more than a new cultural meme. A meme, defined by Wikipedia, is “an idea, behavior or style that spreads from person to person within a culture”. And as a meme spreads through society, it becomes socially accepted. The idea of giving gifts on holidays is a meme. The idea of eating eggs and bacon for breakfast is a meme. The idea of owning a pistol versus a bow and arrow for home defense is a meme. After a while of a meme’s existence, it may become something of an expected occurrence, perhaps even a tradition. If it falls short in longevity, we call it a fad. The meme of the school shooting is dangerously embedded in our culture. But how did we shift to a culture that tends to be so anti-socially violent? In other cultures, the circumstances that lead to the school shooting might end with the would-be attacker channeling the violence towards them self, perhaps in torment, perhaps in suicide. But what we see in America is an idea that one should externalize their problems, anger, and frustration, that one should attack others, that others should be made to suffer for our personal condition. I believe externalization is the most destructive phenomenon in the history of human existence, and it’s prevalent in the American culture that has given rise to the school shooting. This is a culture ready to file legal suit against anyone or anything that impedes our ability. A culture that demands vengeance, a culture that externalizes constantly. We even see it in the western interpretation of Christianity, putting blame for personal actions on acts of temptation by Devil. Externalize, blame the other. Hell, we even see it in this debate: Blame the guns, blame the video games, blame the mentally ill. In a hope to end this destructive cycle, I believe we must reconsider our ourselves and rebuild our world view from that of isolated individuals to a view of humanity as an extension of each one of us. We must learn to be empathetic towards others. We must learn to have faith, rather than fear, in the human condition. We must understand that each of us has a capacity of suffering that we may feel to be too much to bear, and that each of us is born needing empathy and compassion in this regard. And in knowing this, we must learn to look at others as not so different from ourselves. Else, we may find our perception of the world becoming a self-fulfilling prophecy: a world where “they” will always be to blame, where our tendency to externalization reigns supreme. We must digress from this. We must accept our own responsibility in ending this culture of externalization, and replace this tendency with a tendency conducive to a world we want to live in. One where we see the suffering of others as connected to our own condition, that of the Human Being. Very few of us wake up in the morning and wish to feel more emotionally disconnected from the people around us. Yet that is precisely what externalization leads to. And behind every man-made tragedy in this world, there is a tragic lack of connection between those committing the tragedy, and those around them. When we fail to recognize this and reach to externalization to lay blame, we ensure that environments which fester such tragedy as a conclusion to our condition, will remain unchanged, as it simply reinforces the dynamic which makes these tragedies an acceptable option in the minds of some, and so they play out the alienation they have felt in an act that replicates the environment they existed in: lay the blame in the “Other”. I see no irony that the root of the cause of such alienation is the same methodology in the action that leads to tragedies such as Sandy Hook, as each is not a separate thing in itself, but merely the workings of a larger process of externalization. I believe sewing the seeds of compassion and empathy will drive us away from the behaviors that make tragedies like Sandy Hook possible, and I encourage everyone to do what they can do to break the cycle of externalization. I believe breaking down the boundaries of the ‘other’ is a crucial step. Let everyone you know, know they are not alone in their suffering. This is why MLP came to exist, as Peer Support, the idea of sharing with others our own suffering, leads to an empathetic view of the world. Everywhere you go you will find some kind of suffering, bringing that suffering out of the dark corner we keep it in, will lead to a more realistic, empathetic, and compassionate view of the world, letting every person know, they are not alone. The Icarus Project is celebrating 10 years of existence! I can vividly remember the year they first came to fruition, and the joy I felt knowing that there were people like me in the world. I was 16 years old, and Icarus made me feel a little less alone in my hometown. At the time, I didn’t understand how to go about creating such a space or project on my own, as I had never met or talked to an activist before in my life. I thought it was an act of great difficulty and awesome accomplishment to bring mad rad folks together for healing. I wanted to do it myself, but was overwhelmed by the task. It stayed in the back of my mind for years, and I watched the unfolding beauty of healing from the sidelines. I moved back to Richmond again in June 2010 because I had met activists for the first time in my life. Just the act of them existing (whether I agreed with their tactics and work or not) was enough for me to feel empowered to start my own group. In September 2010 I started the process and dialogue of bringing Icarus back to Richmond, as it had long come and gone with another group of people. Richmond was in great need of radical mental health once again. In October 2010, Mindful Liberation Project was officially started. We get to celebrate our 2 year anniversary along with Icarus’s 10th! We started as a local group of The Icarus Project, but we have become so much more since. This year we split into three separate projects: Mindful Liberation Project, RVA Peer Support, and FOIA For Change. Allen Skeens, a Henrico, VA resident, was shot in the torso on a destruction of property call to Henrico Police Department on April 26, 2012. Allen was unarmed. Mind(ful) Liberation Project believes that HPD did not follow their training in “handling the mentally ill,” so we have decided to investigate. We have put in a Freedom of Information Act request to receive these police training manuals. We received word back on May 16th that the documents are available for us to pick up, and were informed that we must pay HPD $313 for the documents to cover labor and printing costs. We are taking donations so that we can advocate for better treatment of individuals with mental health concerns. To donate, click on the “donate” button on the right of this page, or visit our “Donate” page. The story behind the break is difficult to read. We encourage folks to take caution when reading. In April, Henrico, VA police shot an unarmed man, Allen Skeens, in the torso just for a destruction of property call (he was upset and throwing things at his mother’s unoccupied car). This man, by the way, allegedly has “Bipolar Disorder.” Many of these people that get wrongly brutalized and murdered by police have mental health concerns. This is because POLICE DO NOT KNOW HOW TO HANDLE AND DEESCALATE PEOPLE WITH MENTAL HEALTH CONCERNS—IT SAYS IN THEIR TRAINING THAT THIS IS WHAT THEY ARE REQUIRED TO DO…NOT BEAT THEM OR SHOOT THEM. Our group, Mindful Liberation Project, has put two Freedom of Information requests in. One for Henrico Police Department (Allen Skeens) and Fullerton Police Department (Kelly Thomas). We are requesting training manuals on how their police officers are trained in handling the “mentally ill.” We want justice for Kelly and Allen. We need answers. What we’ve raised as of 5/19! You may remember when we released Richmond Police Department Documents regarding training and refresher courses on “Handling the Mentally Ill” that we received via Freedom of Information Act (FOIA) request in December. We dedicated the post in memory of Kelly Thomas, a transient man with mental health concerns that was beaten to death by Fullerton Police. The incident occurred on July 5, 2011, and Thomas died five days later on July 10th. To read more about the incident, see the links at the bottom of this post. 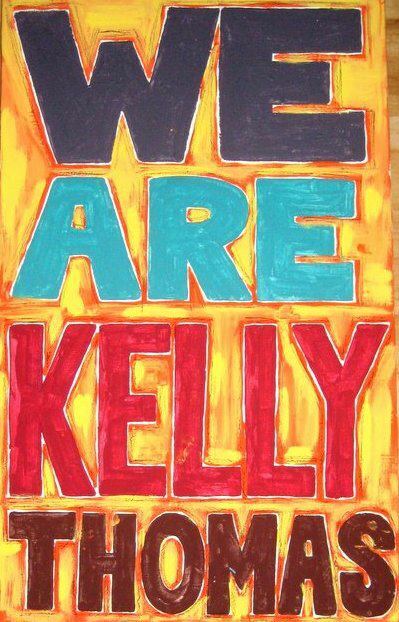 The police that were involved in the incident are to stand trial for Kelly’s death. A surveillance video at the bus depot was running during the incident, and officer Manuel Ramos was also recorded by a device he was wearing on his uniform. Synced together, the audio and video formed the key evidence shown in court during a preliminary hearing to decide whether to bring the officers to trial. The video and detailed description of the incident has surfaced. Follow this link to NPR’s article to read about the upcoming trial, description of the incident, and video (edited down to 8 mins. Unedited version here). Official transcript of the video can be found here. Trigger warning: the description and video are highly graphic, disturbing, and violent. Please use discretion when viewing and reading. It is difficult for us to put into words how upsetting this is. If anyone would like to talk about this incident, either through peer support or just chatting, please let us know. We would love to talk about it, because we have feelings about this that we’d love to sort through. 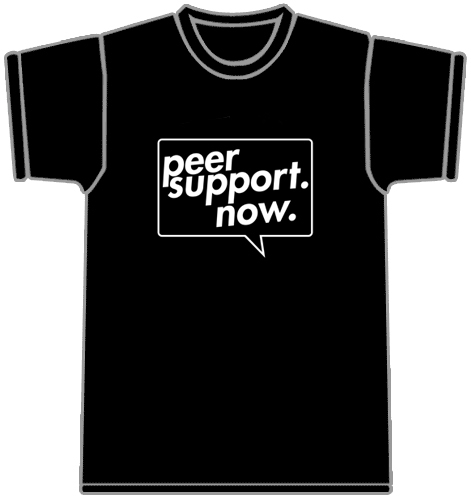 Also, the RVA Peer Support Line is always open– 804.631.3134. Please sign the petition for justice for Kelly Thomas. Check back here for more updates. We will post updates below as they come in (in reverse chronological order so it makes sense to folks and the latest posts are at the top). Trigger warning: Most/all of these links and descriptions of the articles on this page are graphic, violent, and upsetting. Please read with caution. Go here for a great read and Icarus Project updates from all over the globe! T-shirts now available — Only $7 – $12! Our Radical Mental Health Lending Library is Organized and Ready For Visitors! Just read this on Tumblr and it reminded me of why we have peer support and why it helps a lot of people through tough times. Our first peer support group was telling enough–there were enough smiles and crying and hands in the air to fill your heart for decades. And the walls are so steep she can’t get out. A doctor walks past and she shouts for help. The doctor writes a prescription and tosses it down the hole. A priest walks past and she shouts for help again. The priest writes a prayer and tosses it down the hole. Then a friend walks past, and again she shouts for help, and the friend jumps in with her.